I think it’s very cool that you’re staying loyal to Doc even though he’s in Philly. He’s your favorite player, so why should that change, right? You can still root for the Jays. Anyhow, good luck with both your baseball allegiance and your job search! Wait! Come back! You’ve gone to the dark side!!! Bet you won’t trade results from that ’93 WS! Haha. 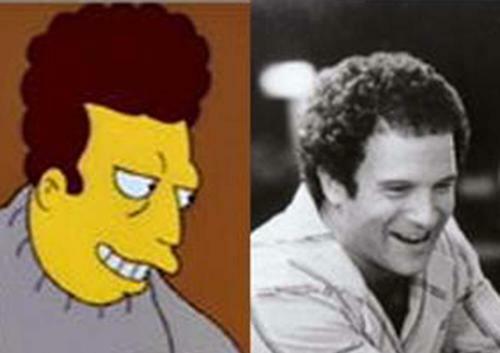 I feel ya… though my allegiance will never waver from the STL, losing a big name guy (like, er… Albert?) would destroy me, physically and mentally. Best of luck to ya. 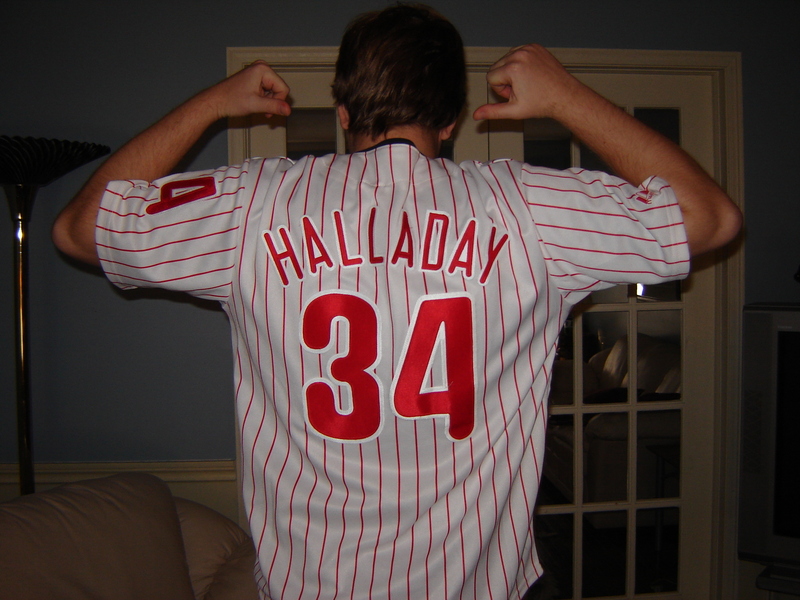 The Halladay jersey is my way of coping with the loss of him, while maintaining my ‘welikeroy’ identity. I’ll never turn my back on the Blue Jays though. roy halladay is my favorite too 🙂 Sorry about the loss! Hey y’all still have Aaron Hill and (dare i say it) Vernon Wells! He really is a nice guy though…. maybe better numbers to come? I put more description on my “favorite player” blog but i found this website that a blue jay fan made just for roy halladay. I thought it was really sweet and thoughtful! For all those interested, here is a rant I uttered earlier this year at the peak of the Halladay trade talk. I think that it sums up the regard that I hold Halladay in. What else can you say about Halladay?? A leader … Yes! A winner … Yes (best winning percentage in baseball for a pitcher over the past 5 years or so). Other than that, it has been an honour and a privledge to him pitch for the last 11 years. I didn’t see his very first start, but I remember second one. Most Blue Jay fans don’t forget the near no-hitter that was broken up Bobby Higginson of Tigers on the last game of the season. My favorite player of all-time. The way he left the Jays with the full page ad in the Sun. What an amazing athlete, icon and role model. I guess it also helped that he went to the NL. Well, I get to see him now and hopefully he wont beat my beloved Dodgers! You are crazy just like the rest of us here! but is a good kinda of crazyness! It keeps us sane! Hey, Jeremy. Good to see you back on and blogging again! Yeah, I wondered if you would have “Halladay Withdrawal”, and how you might contend with that. Congrats on getting the Halladay Phillies jersey. I understand that “personal loyalty” in addition to the “team loyalty” problem. I would have that same issue with some players on our Red Sox team–incl. with a player that the FO is looking to trade right now. Yeah, I get it. (And if he gets traded outside the AL East, that would be even better). Many of us on our “pro” blog still feel that way about certain players from our 04 WS team. (Some, arguably, are still in withdrawal!). I own a Red Sox jersey with no name on the back, just the number 19–tribute both to our present-day wearer, Josh Beckett, and to a player who wore the number in the 70s (Fred Lynn) before he was traded to the then-California Angels. I continued to follow him when he was with the Angels (though I never became an Angels “fan”–I still retained my Red Sox allegiance). Even then, that was tough–and it was an early lesson! (I was about 12 years old at the time). 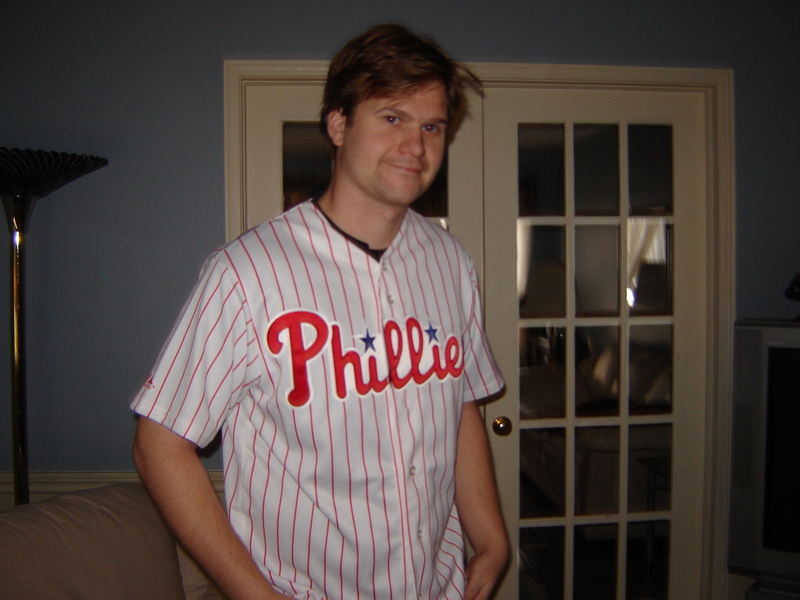 Again, enjoy your Halladay jersey, and good to see you blogging again! And yes, it is something else to watch Halladay pitch–even when rooting against him! Take care, Jeremy! Roy “Doc” Halladay is one of the best pitchers in baseball, maybe the best … So, I can feel your pain in seeing your favorite player go to another team !!! … With all the success by the Yankees in recent years, it is still very disappointing [to me] when I see players like: Bobby Abreu, Hideki Matsui, and Johnny Damon leave the team because the Yankees would not offer these players proper contract packages that would allow them to stay in the Bronx … But, this is all part of the “business of baseball”, and usually, it is the “fans” [us] that have to suffer because of these questionable moves !!! … We can still follow and root for our favorite players, though. And, I hope Halladay has a Cy Young Award winning season with the Phillies in 2010 … The best thing I like about “Doc” is the amount of “complete games” he pitches every year … The GC is an art, and very rare in today’s game of baseball … Halladay is a master on the mound !!! Jeremy, as for your “welikeroywelikeroy” screen name — it is very unique, and I like the name … You should def keep the name, as it is a very special part of your mlblog, and, also, a special way for you to still root for your favorite player: Roy “Doc” Halladay !!! We kind of have a similar issue regarding our screen names … My screen nickname: “jimmy27nyy” was chosen [when I began my mlblog in 2007] in honor of the Yankees journey to their 27th World Championship … Well, now that the Yanks have achieved that goal, I look at my “27nyy” as a very special number, and part of my name and blog … I will continue to keep my “jimmy27nyy” nickname, and not change my number like Joe Girardi, who is planning on changing his number to #28 starting in 2010 !!! [but, I do agree with Girardi’s decision as motivation for the Yankees journey to their 28th World Championship]. “CG” — Complete Game !!! … Very rare stat, indeed !!! Have a great day, Jeremy !!! Thanks for the loyalty even during the ‘identity crisis’ this blog was going through. Fifty percent of my posts had to include Halladay somehow. Halladay is one of those players that is very tough to give up because you know the guy is destined for the Hall of Fame. He gave the Jays so many good years, but we just couldn’t give him the supporting cast. The only thing I could compare it to is if the Yankees ever lost Jeter. For me, it was that big. Thanks for understanding, and interesting how you transitioned your Fred Lynn jersey into Josh Beckett. Fantastic choice with Mauer. After the year he had last season, I don’t see Minnesota giving up on him. Another guy that I felt upset about leaving the Jays was the O-Dawg … Orlando Hudson. I see he landed in Minnesota … nice pick-up! We are both going through screen name dilemmas. That is crazy. The complete games are very impressive with ‘the Doc,’ also the fact that he usually logs the most innings every year, and even with that, he tends to have the lowest WHIP in the league! The guy is absolutely phenomenal that way! If the Jays weren’t such a sub-par team, Halladay would definately have more Cy Young’s. Thank you for the kind comment. I can’t wait for Spring either!!!!!! ! I’m totally in. I’ll send you my info. Years ago, they used to make cards for fans at Yankee Stadium and I still have mine. They put you in front of a background of a crowd and gave you a bat to hold. It was cool!